If you have noticed, the weather nowadays has been pretty unpredictable. It can be bright and sunny in the late morning but towards evening time, it may just start to pour. With such uncertainty, I like to play around with my menu planning accordingly to the weather. On a hot and humid afternoon, I love to make some simple yet yummy popsicles (like my recent Mango Yogurt Popsicles) but on a cold and windy evening, I like to make warm comfort food which can warm up my stomach. 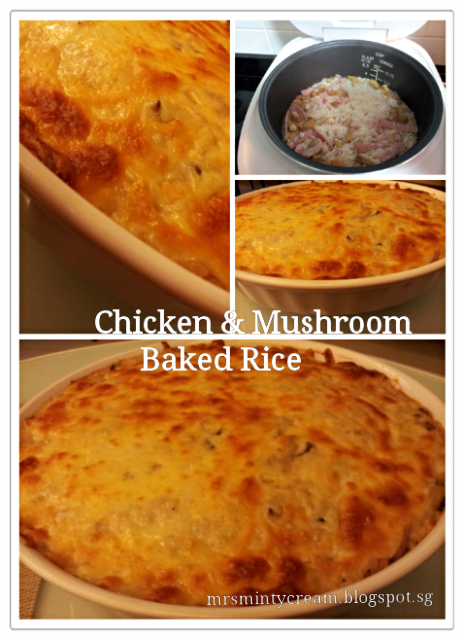 This Chicken & Mushroom Baked Rice is a great one-dish meal anyone can make. It is simple with few ingredients and you can pretty much throw in whatever meat/ vegetable you have in your fridge to create various versions of it. It is pretty much a perfect comfort food! Recently I made a new version of Cheesy Salmon Baked Rice with some minor changes to the ingredients and it still tasted great! Hubby actually prefers the Salmon version though. 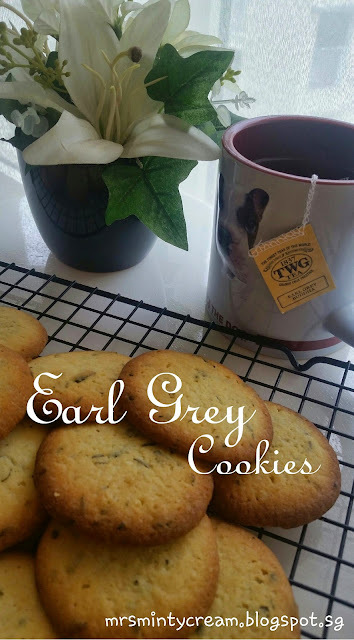 Will be sharing the recipe on that very soon. 2. Rinse (at least 3 times) and drained the uncooked rice. Set aside. 4. Add the washed uncooked rice into the saucepan and continue frying and tossing. Add salt and black pepper to it. Ensure that the content is well-stirred. 5. Transfer the fried rice into a rice cooker and add in the water to cook the rice. 6. After the rice is cooked, portion the content into a casserole dish (I use a 10" pie pan). 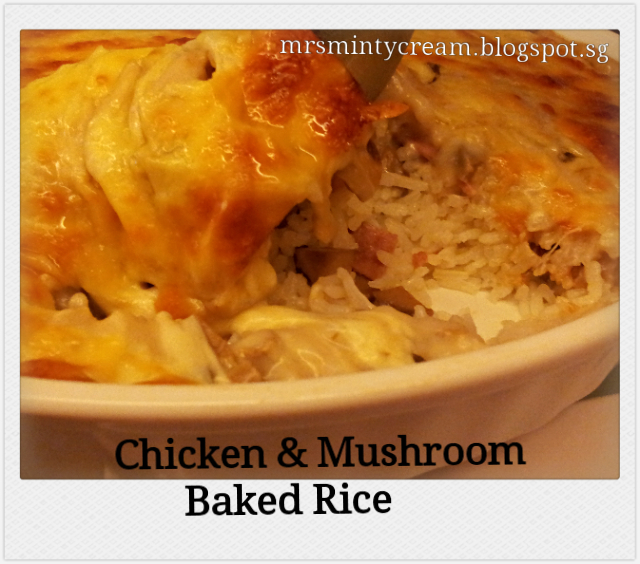 Pour the cream of mushroom soup sauce over the top of the rice. Spread the sauce evenly across the surface. 7. Top the sauce with a layer of shredded Parmesan and Mozzarella cheese. 8. Bake in the oven for 18-20 minutes, or until the cheese has melted and give a golden brown crust at the top of the baked rice. Serve it while it is hot.